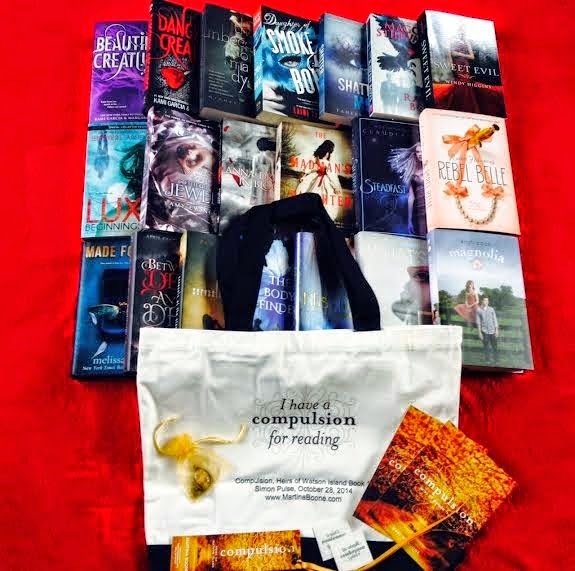 Celebrating COMPULSION Release Day plus a Giveaway! 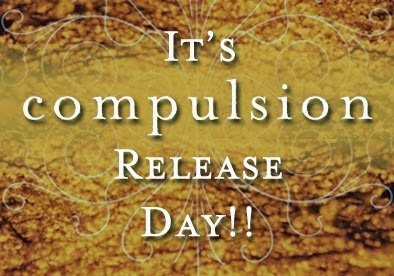 19 Celebrating COMPULSION Release Day plus a Giveaway! Cue confetti! Pop the champagne! It's finally arrived, and I'm so incredibly excited! So excited that I'm hijacking the post today. 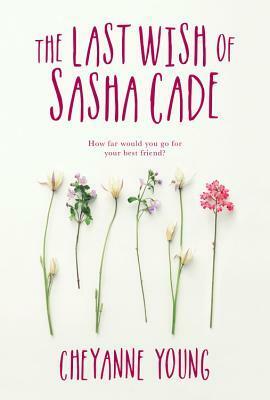 I did an interview with Martina and her editor at Simon Pulse, Sara Sargent. 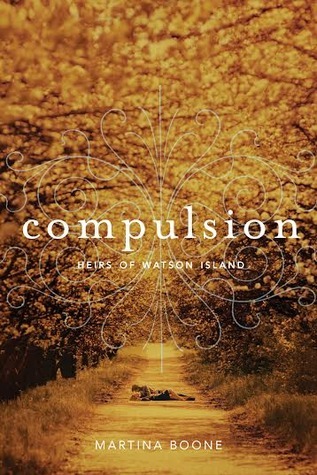 If you weren't already excited enough about COMPULSION, you will be after you read this! I got an email today that my copy of COMPULSION shipped, and I realized that would be my fourth copy of the book. Well that made me feel a little greedy, so I decided to do a giveaway of my pre-ordered copy. 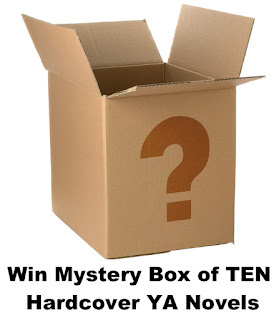 Use the Rafflecopter form at the end of the post to enter. Thanks to both Martina and Sara for the interview! A HUGE thank you also (on behalf of Martina, because she insists!!!) to Katie at Mundie Moms and the amazing bloggers who participated for doing the incredible Compulsion for Magic blog tour! 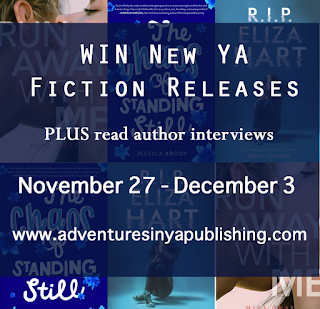 Don't miss the fun links to interviews and guest posts from fabulous authors like Kimberly Derting, Kami Garcia, Beth Revis, Megan Shepherd, Kat Zhang and many more. Martina, for those who don’t know the term, what’s a Southern Gothic? People use that term in many ways, especially this fall when there are several novels coming out that publishers are calling Southern Gothic. The way I’ve written Compulsion, so I guess you could call it my spin on Southern Gothic, takes the classic gothic combination of romance, mild creepiness, and the supernatural from novels like Rebecca, Wuthering Heights and Jane Eyre, but takes place in the American South. Instead of moldy, crumbling castles and brooding moors, it’s got crumbling mansions, a river that turns to fire at midnight, and trees dripping with Spanish moss. 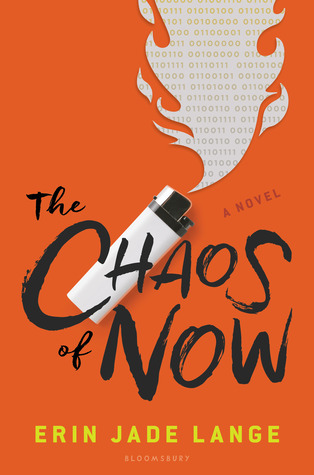 What drew me to this type of novel is the permission to unabashedly put emotion and atmosphere on the page, to take plot and character and backstory to extremes in a way that stays with a reader. Gothics are books about ruins, both human and architectural, complicated histories, hereditary curses and madness, about haunted houses, and characters who mirror and reflect each other. They're about love, secrets, mystery, and often murder. A traditional Southern Gothic, a slightly different animal than the pure Gothic, incorporates a crumbling aristocracy to go along with the decaying houses, which let me play with social structures and reality versus expectation. Southern Gothics are not only set in the South, they’re set in a place that is still dealing with the history of the South. 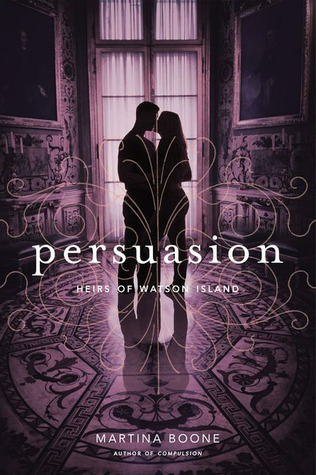 I’ve touched on that, and there’s more of it in Persuasion, the second book of the trilogy. But what I’ve written isn’t a traditional Southern Gothic in the vein of Faulkner or Welty. Compulsion focuses more on romance, myth, and family, with emphasis on tragedy instead of horror. The School Library Journal calls it “a little bit Gone with the Wind, a little bit Romeo and Juliet.” That’s about right. Instead of using grotesque to mean macabre, as is often the case, I’ve also gone back to the latin root of the word and incorporated a lot of hidden places. Finally, I’ve given the characters more of a “happily ever after” than you’d typically see in the classic Southern Gothic novels. Not completely, sappily HEA, but still. Sara, is that what Compulsion is like? Compulsion inspires me to use a lot of adjectives. You should see me in meetings. I get very carried away. In such a small space here, I’ll only use a few: sweeping, romantic, bewitching, charming, alluring. I really could go on. Martina’s debut is one of those rare books that you are happy to read slowly, savoring every page. I don’t want to miss one kiss between Barrie and Eight or one lick of description of Watson Island. It’s more than Martina’s writing, though. It’s the plot and the coming-of-age tale that she’s recounting. There’s such depth of feeling and emotion to Barrie’s arc, and there’s also a lot of great mystery. It’s remarkable how much goodness Martina packs into these pages. Martina, how important is the supernatural element in a Southern Gothic? That varies. There’s only a very small element of the supernatural in To Kill a Mockingbird, for example, although you definitely get a sense of good and evil being bigger than the actions of the residents of Maycomb. Ditto with Gone with the Wind. 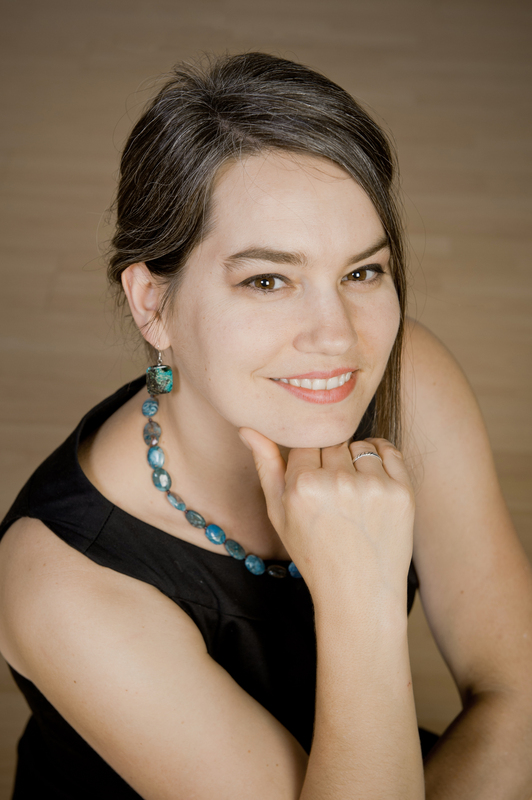 But then there are books like Melissa Marr’s Graveminder and her recent Made for You, or Beautiful Creatures, for example, where the supernatural element becomes a driving force in the book. 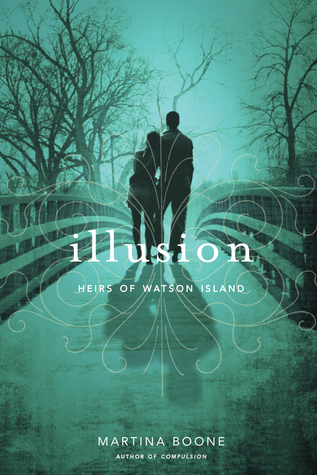 In Compulsion, I wanted the supernatural element to sneak up on you, to make it clear that while magic may exist in other places, on Watson Island it is part of the fabric of the place. To that extent, I began with magical realism and morphed from there. Sara, how does the magical realism balance with the supernatural in Compulsion, and how much supernatural do you like in your favorite Southern Gothics? I think the magical realism elements come out most strongly with the yunwi—magical spirits—that inhabit the island. That balances with certain supernatural twists, like the founding families’ gifts and the curse on the Colesworths. Together, these elements make the atmosphere come alive because you have the natural, environmental world and the human world charged with energy and power and force. It creates quite the maelstrom! In general with my books, I love a twinge of the supernatural or a twinge of magical realism. It’s fun to play with those genres and give narratives a little extra oomph of interesting. Because, really, who didn’t want powers when they were a teenager? It’s all part of the fantasy and escapism of reading, and the fun of working with and reading YA. Martina, where does the mythology in Compulsion come from? There’s a lot of it in there, and it isn’t anything we normally see. The sense of historical context was one of the elements of the Southern Gothic that I wanted to keep to in writing Compulsion. Due mainly to the tragedy of slavery and the way settlers and the government mistreated Native Americans, the South became a melting pot of different cultures sharing, and in many cases, marrying not just people and folklore and traditions, but also magic. Bottle trees, which you still see adorning people’s lawns while you’re driving from Charleston to Edisto Island, for example, came over from Africa with the slaves, but the roots are actually much older and likely have the same origin as the idea of genies in a bottle. Porch ceilings are commonly painted “haint” blue in the South, because ghosts, or “haunts” don’t like to cross water, and therefore it's believed that painting your door or porch that color will fool them into going elsewhere. There’s a lot of mythology like that in the trilogy, incorporated into the story of Watson Island. That’s not uncommon. But a lot of people don’t realize that there was a mixing of Native American magic with the magic brought over from Africa and the West Indies, or even that there was a mixing of African Americans and Native Americans at the time. That intersection of different magics is something I wanted to explore, so I incorporated some Cherokee legends with the African American folklore, added some of the pirate and plantation history, shook it all up and out popped Watson Island. Sara, did you get that sense of history, and what’s your favorite part of that mythology? The idea of bottle trees is something I’ve long been fascinated with. 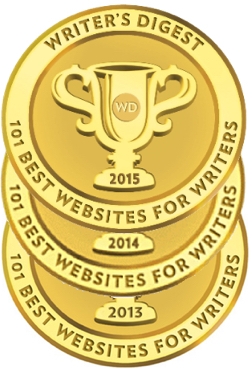 So it was certainly a treat when Martina used them in her novel and I had a chance to learn more about them! Which is true of all the history and mythology she’s exploring in the book. If I am being forced to choose, though, my favorite part of the mythology was the Native American lore and inspiration. I felt those threads came through especially strongly in the history of the island—not to mention the gifts and curses. I love a book with really strong atmosphere and sense of place, and the way Martina uses Native American history strengthened both those aspects of Compulsion. She gets in touch with the land and nature and the environment, and all of that is rendered even more vivid by the mythology itself. Martina, what were some of the challenges writing a Southern Gothic like this? Weaving together the history, mythology, and mysteries was definitely a challenge. Barrie comes to Watson Island knowing nothing about it, and we learn everything as she learns it. That’s a trope imposed by the Gothic genre, the arrival of the “innocent” who shakes up three-hundred years of tradition and acceptance of the status quo. It was tempting to speed through that and get to the big explosions and confrontations faster, but there’s a lot going on below the surface and the genre demands that I give that time to brew and build. Barrie, my protagonist, was herself a challenge. She was so growing up and so desperate for family connection that she's just a wee bit stubborn. 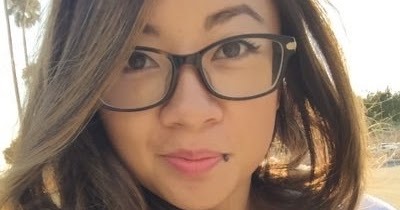 : ) Writing her while she's fighting her attraction to Eight and fighting to maintain her own identity, making her strong and often WRONG, I often had to make decisions about what I would like her to do as an author and what she, stubbornly, wants to do because of who she is. Sara, where do you think Compulsion succeeded best? What do you love most about the book? Go here to enter and start the tour! LOVE all the quirks you see in the South and I LOVE romance and magic!! Congrats on writing such a wonderful unique novel!! I am seriously excited for Compulsion because of its intriguing premise and it has a suspenseful vibe to it. 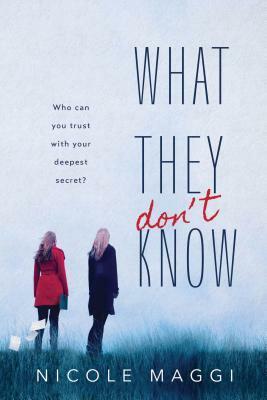 In fact, I featured it on my blog: carmelandkyla.blogspot.com/2014/10/hello-october.html It's on my list of anticipated reads this October! Fingers crossed for this one! So excited to read Compulsion. I've been reading the interviews and it sounds like such a wonderful story. Congrats! Congrats! I believe COMPULSION will be entertaining and a great mentor text. 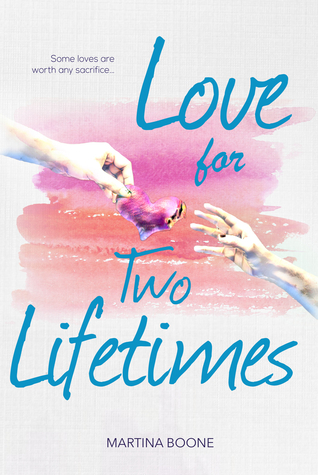 So excited for Martina and anxiously waiting for Amazon to deliver my copy! I have read so many great reviews about Compulsion already, and it just sounds so great! I am looking forward to reading it :) Congratulations on your release! Congrats again!! I wish you all the best!! It sounds like a winner!! This book sounds so different than any other I've read. Can't wait to get my hands on a copy! Thanks for the giveaway! Great day for you, Martina! Congratulations. 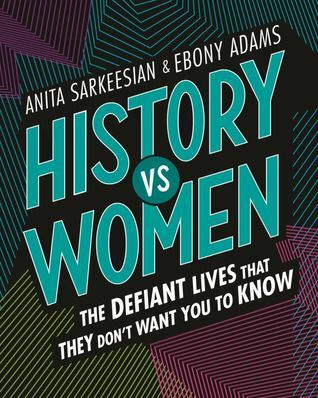 I can't wait to read this. I hope it's soon. I feel like it's been FOREVER that I've been wanting to read this book. I think I've seen your whole process!! I've heard so much hype for this book, so I can't wait to check it out. I love magic and all things gothic.